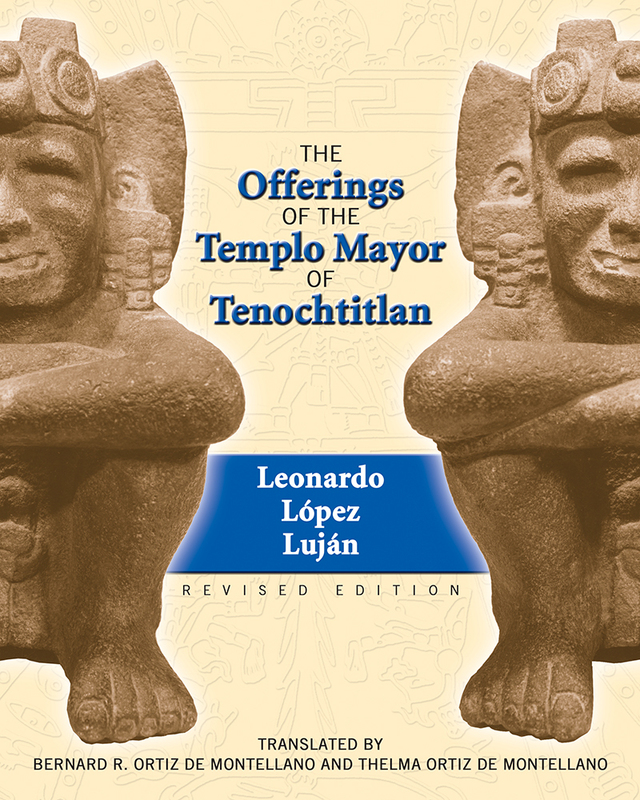 In this revised edition of The Offerings of the Templo Mayor of Tenochtitlan, Leonardo López Luján shares and synthesizes the spectacular findings of the historic Templo Mayor Project, which took place in the heart of Mexico City from 1978 to 1997. Archaeologists found an astonishing array of items including masks, jewelry, skeletal remains of jaguars and alligators, statues of gods, precious stones, human remains, and countless objects from the oceans. López Luján's aim was to decipher the offerings' religious significance and explain the profound associations between the unearthed materials and ritual behavior. In doing so he relied on diverse data and several analytical techniques to determine such things as the exact date when the offerings were buried, the gods to whom they were dedicated, the festivals in which the gifts were made, and the meanings of the materials and their spatial distribution. The first edition of The Offerings of the Templo Mayor of Tenochtitlan was named "Outstanding Academic Book" by Choice and received the Eugene M. Kayden Humanities Award. Leonardo López Luján is senior researcher and professor at the Museo del Templo Mayor, INAH, Mexico City. Thelma Ortiz de Montellano is retired from Alamo Heights ISD in San Antonio and has also taught at San Francisco Community College. Bernard Ortiz de Montellano is a former professor of anthropology at Wayne State University. Leonardo Lípez Luján is senior researcher and professor at the Museo del Templo Mayor, INAH, Mexico City.